Event info is available by clicking on the calendar or contacting us. March: Lowell Expo. Visit our booth to learn how to volunteer with us. May: Spring into the Past. Stop at the museums and schoolhouse for tours. May thru Sept: Fallassburgh Flats Vintage Base Ball games, featuring 1860’s rules! 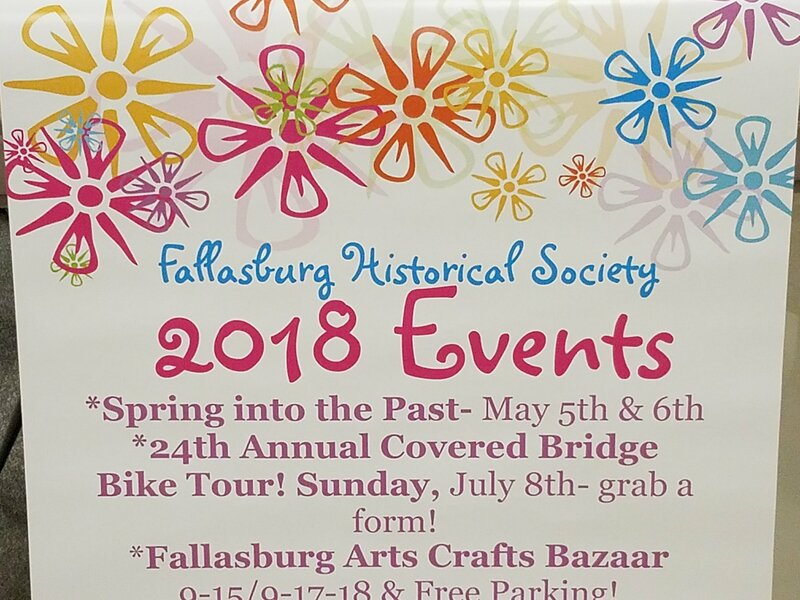 July: 25th Fallasburg Covered Bridge Bike Tour on July 7, 2019. Registration at the schoolhouse from 7 a.m. to 9 a.m.Travel to the past while you tour the countryside along 12, 28, 40, 50, 62, 78 or even 100 mile routes. See the bike page for maps and routes. Sept 15 & 16 4th annual Fallasburg Village Bazaar, Fallasburg Fall Festival. 100’s of booths including handmade art, local vendors and more! Always held at the same time as the Fall Festival for the Arts across the Covered Bridge. Dec: Annual “Christmas in the Village” party on Dec. 8. from 6 to 8 p.m. Always held on the second Saturday in December. Year-round: open museum days, class/group tours. Groups are welcome during daylight hours by appointment for a modest fee. Submit your suggestions for events to Emma at emmapalova@yahoo.com.